The best deals are not always available on comparison sites. Below we run through the best car insurance companies that are not found on comparison websites. Although most car insurance companies can be found on the major comparison websites, some insurers choose to not list their policies on them. As comparison sites, or 'aggregators' earn a commission for every policy they refer to an insurer, insurance companies that are not listed are able to keep costs down by not paying commissions - and many pass that saving on to customers in the form of cheaper premiums. Below we have listed the best car insurance companies that are not on comparison sites, based on the price of their quotes, the range of policies they offer and their reputation for customer service. While you can compare over 100 car insurance companies by using a comparison site, if you want to make sure you are getting the best price it's also recommended that you get a quote from the above insurers too. Direct Line make a big deal about not being on comparison sites, and differentiate themselves by offering unique benefits to their customers. These include their promise to protect your No Claims Discount if your car is hit while parked, with no third party to make a claim against. They also offer a guaranteed hire car for up to 21 days in a row while your car is being repaired, as well as 'Onward Travel' - which means they will pay your taxi fare to get you to your destination if you have an accident. Fair claim commitment - As well as being hit while parked, your No Claims Discount is protected if your car is damaged by potholes, theft from your car, flood damage, hit by an animal or debris. Vandalism promise - The No Claims protection also extends to any claim you make for vandalism damage to your car. Used car replacement - If your car is written off, then you can choose to either get a like-for-like replacement, a cash settlement or you can pay the difference to get an upgrade. Uninsured driver promise - Direct Line will repay your excess and reinstate your No Claims Discount when it is confirmed that your accident was caused by an uninsured driver. Fire and theft - You get financial protection if your car is damaged by a fire, lightning or an explosion - or if it is damaged by an attempted theft. Damage to third party - If you are at fault for an accident that causes damage to a third party's car or property, or if you injure someone, then you will be covered for any financial losses. In-car equipment cover - Direct Line gives you unlimited cover for your in-car audio, TV, navigation and telephone equipment. 24/7 emergency helpline - Direct Line's emergency claims helpline is open all the time. For younger drivers, Direct Line offer's it's own black box car insurance policy called DrivePlus. This involves Direct Line putting a small telematics device in your car that tracks your driving behaviour. Upfront discount for your first year: If you've just passed your test, are under 25 or if you are a new Direct Line customer you will get an upfront discount on your policy for your first year. Easy installation: Direct Line uses a small 'plug-in' device that requires no tools or specialist installation. Regular feedback: Receive direct emails and updates on your performance. DrivePlus app: Download the app for free and keep track of all your journeys and telematics data. If there's more than one car at your address, then you could bag further discounts with Direct Line's multi-car discount offer. No Claim Discount (NCD): As the policies are not combined into one, if one of the cars has an accident and makes a claim, the NCD on the other cars will not be affected. Renewal date: Most multi-car policies combine the different renewal dates for each car into one date. While this can make it more convenient, it also means you get hit with the expense at the same time each year. With Direct Line's multi-car discount offer, each car still has it's own individual renewal date. View discounts before you purchase: As you add one car at a time you can see the potential savings you will make before deciding to purchase. Not being on comparison sites enables Aviva to offer very competitive car insurance prices. Aviva's comprehensive cover starts at £163 (10% of their customers pay this cheapest rate). They also offer a 20% discount if you buy online - depending on individual circumstances - which applies to almost a third of their customers. Aviva's comprehensive policy includes Uninsured Driver cover, vehicle recovery and cover for driving other cars. See full details of Aviva's car insurance below, or read our full review of Aviva car insurance. Aviva also offers a MultiCar policy that enables customers to combine insurance for multiple cars and vans. Insuring all your vehicles under one policy means you have just one renewal date to remember, and they offer a 20% discount for each vehicle you add (up to a total of five). Each vehicle under the single MultiCar policy will earn its own No Claims Discount - so a claim on one vehicle doesn't affect the others - and you can set different levels of cover and excess for each of the vehicles. 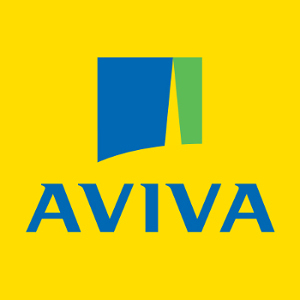 Aviva customers who choose to use their Drive app can get discounts of up to 28% on a comprehensive policy. Aviva Drive works similar to black box insurance policies, as it involves tracking your driving (acceleration, cornering, braking). Those who get a good score on the app can save an average of £170 per year on their car insurance. Aviva Dash Cam makes it easier for you to explain what happens on the road - especially if you are involved in an accident. Once you've downloaded the Aviva Drive app you can start tracking your driving right away, and once you've done 200 miles you will get a score out of 10 for your driving. The higher the score the bigger the saving you could make. While you can find standard Admiral car insurance policies on comparison sites, if you want one of their Multi-Car policies you have to buy directly from them. If you have more than one car at your address, you can insure them all under the same Multi-Car policy. Every car you add to the policy earns its own discount, and Admiral says that 10% of their Multi-Car customers have saved the maximum £345 on their car insurance. Each of the cars gets their own No Claims Bonus, and you just have one renewal date for all the cars at your home address. The main benefit of choosing Zurich as your car insurer, rather than going through a comparison site, is that you can tailor your car insurance so it's suited to you. Legal cover - up to £100,000 in legal representation for all named drivers on your policy in the event of an accident that's not your fault. Personal accident cover - up to £30,000 for you or your passengers in the event of death, loss of limbs or damage to sight or hearing following an accident in your car or while getting into or out of it. Hire car - get a replacement car for up to 21 days if your car is written-off or stolen and not recovered. Excess protect - covers the reimbursement of a policy excess you have to pay following an accident. Protected no claims discount - protect your no-claims discount and make two claims in five years without affecting it. Key cover - up to £2,500 lock and key replacement for your car, home and office. Locksmith charges are included. Breakdown cover - gets you four types of breakdown cover with roadside assistance if you're more than a quarter of a mile from home - provided by RAC.